“Intervention to Durable Recovery: The Power of Family” will be presented on Tuesday April 16, 2019, from 7:30 pm to 9:00 pm (book sale/signing following the presentation) by Debra Jay and Jeff Jay; best-selling authors, speakers, clinicians and educators. Addiction is often described as a “family condition” – but families have often been left out of the recovery equation. Involved, supportive families play a critical role in the recovery process, from initiation through long-term recovery, and families provide an important reservoir of influence and support towards making lasting sobriety a reality. Through extensive work in intervention and family recovery, Debra Jay and Jeff Jay have developed highly effective, detailed Intervention and Structured Family Recovery™ processes that unlock the secrets of lasting sobriety – techniques that help addicted physicians and pilots attain lasting recovery - and make them available to families. The intervention process starts with a concerned family and the Structured Family Recovery™ process ends with a family recovery team that maximizes the potential for a successful outcome for all involved. This presentation will describe how to do an intervention and how to build a recovery team that unites the person with addiction and his/her family in working towards the common goal of sustained recovery. The presentation will provide practical, helpful, hopeful information about intervention and family recovery that will both revolutionize recovery and bring recovery back to its roots. Jeff and Debra Jay are dynamic, highly experienced speakers, whose materials are liberally interwoven with compassion, humor, personal stories and real-life examples. This program is part of the Dawn Farm Education Series, a FREE, annual education series developed to provide accurate, helpful, hopeful, practical, current information about substance use disorders, recovery, family and related issues; and to dispel the myths, misinformation, secrecy, shame and stigma that prevent people with addiction and their families from getting help and getting well. All programs are free and open to anyone interested. Registration is not required. 1.5 hours of free C.E. approved by MCBAP (Michigan Certification Board for Addiction Professionals) is provided. A certificate to document attendance is provided on request. 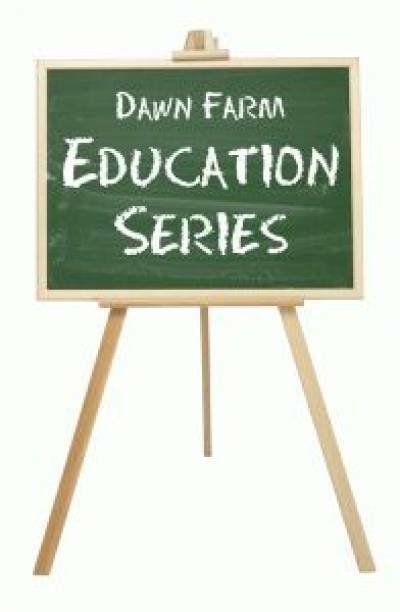 The Education Series is organized by Dawn Farm, a non-profit community of programs providing a continuum of services for people with substance use disorders. For information, please contact Dawn Farm at 734-485-8725 or info@dawnfarm.org, or see http://www.dawnfarm.org/programs/education-series.